Since we work with Elasticsearch and Solr on a daily basis and know so much about them we like helping others improve their knowledge of these technologies, not only through Solr & Elastic Stack trainings, but also by sharing our knowledge in meetups and conferences. 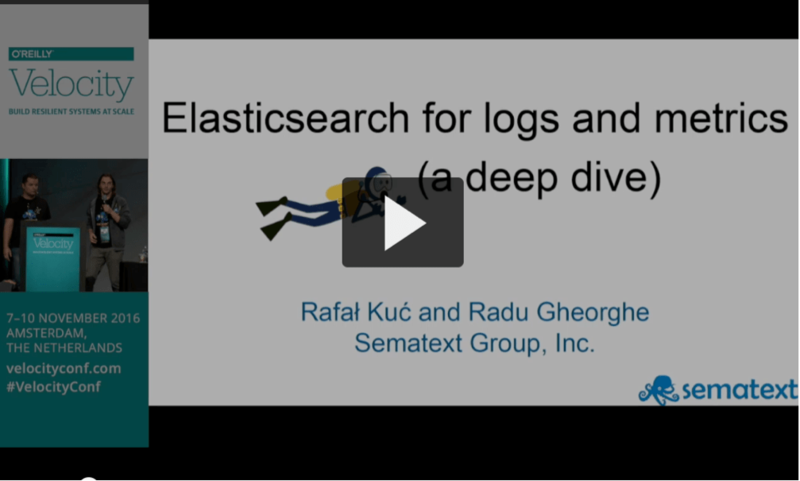 Back in November 2016, we joined O’REILLY Velocity 2016 conference, giving a talk about using Elasticsearch for logs and metrics, along with lots of good info about how to tune the logging and monitoring pipeline together. Want to try the first All-in-One Monitoring and Logging solution? Check Sematext Cloud! Get actionable insights and full-stack visibility through a single pane of glass. Don’t have time to watch the video? You can check Elasticsearch for logs and metrics slides instead.